Acupuncture is one of many skills employed by our osteopaths & physiotherapist at Parkview Clinic as part of the management of pain and inflammation within soft tissues. The acupuncture procedure involves the insertion of thin needles through the skins surface at specific points on the body and can be inserted into various depths. A growing body of evidence shows acupuncture safely treats short-term relief of symptoms such as back pain, headaches and migraines. Acupuncture can also be used to temporarily relieve pain symptoms of conditions such as osteoarthritis and fibromyalgia. 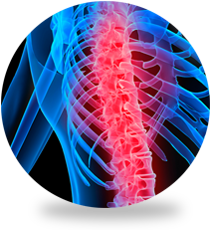 Acupuncture involves the insertion of fine needles into places of the muscular skeletal system where nerves, muscles and connective tissue can be stimulated. Traditional acupuncture claims that using specific points helps correct imbalances of the flow of energy channels within body therefore reducing pain. 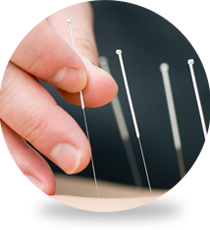 The medical theory, used more commonly by western therapists, show acupuncture is used to decrease pain by stimulating an increase of blood flow while at the same time triggering the activity of the body's natural painkillers. 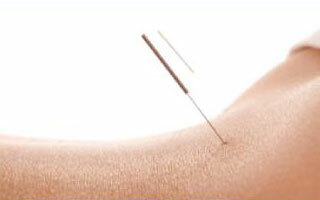 At Parkview Clinic we offer dry needling acupuncture technique. 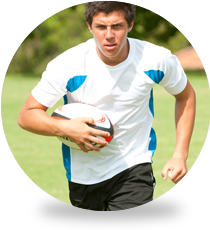 Dry needling is a specific technique that focuses on the medical theory which needs a clear medial diagnosis. Dry needling uses acupuncture needles to treat painful symptoms and dysfunction caused by muscle stiffness/spasms and nerve problems. Our therapists can choose the length and thickness of needles needed which is appropriate to condition and body size. Throughout dry needling our patients may feel muscle aches and twitches, all good sensations that their symptoms are being relieved.